Kamal Haasan (born 7 November 1954) is an Indian film actor, screenwriter, director, playback singer, choreographer and lyricist who works primarily in the Tamil film industry. Haasan has won several Indian film awards (including four National Film Awards and a number of Filmfare Awards), and has starred in the highest number of films submitted by India for the Best Foreign Language Film Oscar. Haasan's production company, Rajkamal International, has produced several of his films. 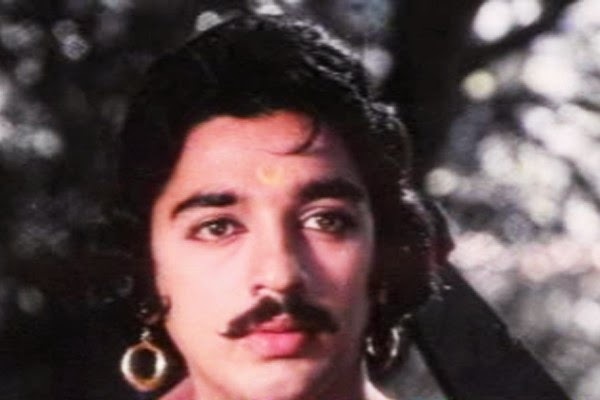 After several projects as a child, Haasan's breakthrough as a lead actor came in the 1975 drama Apoorva Raagangal, in which he played a rebellious youth in love with an older woman. He won his first National Film Award for his portrayal of a guileless schoolteacher who cares for a childlike amnesiac in Moondram Pirai. 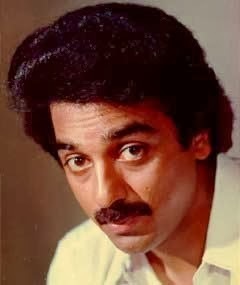 Haasan was noted for his performance in Mani Ratnam's Godfatheresque Tamil film Nayagan (1987), rated by Time magazine as one of the best films in cinema history. Since then he has appeared in a number of films including his own productions, Hey Ram and Virumaandi, and the Dasavathaaram (in which he played ten different parts). In 2009, he completed 50 years in Indian cinema. Haasan was born in 1954 into a Tamil Brahmin family in Paramakudi (now a part of Ramanathapuram district), Tamil Nadu. His father, D. Srinivasan (a lawyer), was a freedom fighter.Kamal is the youngest child in his family; his brothers Charuhasan (b. 1930) and Chandrahasan (b. 1936) are also lawyers, and Charuhasan became an actor during the 1980s. Haasan's sister, Nalini (b. 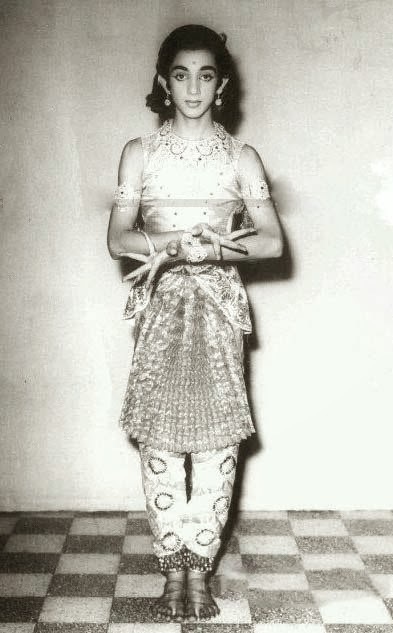 1946), is a classical dancer. He received his primary education in Paramakudi, moving to Madras (now Chennai) as his brothers pursued their higher education. Haasan continued his education in Santhome, Madras; attracted by film and the fine arts, he was encouraged by his father. When a physician friend of Haasan's mother visited Avichi Meiyappa Chettiar (AVM) to treat his wife, she brought Haasan with her. Impressed by Haasan's demeanor, M. Saravanan (AVM's son) recommended him for their upcoming production Kalathur Kannamma (replacing Baby Daisy Rani, who AVM thought was overexposed). 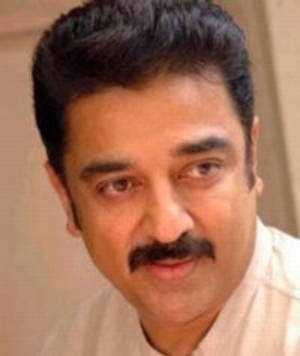 After a seven-year hiatus from films Haasan returned to the industry as a crew member, playing a few supporting roles. 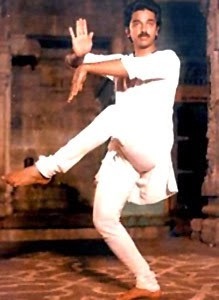 His first role as an adult was in the 1970 film Maanavan, where he appeared in a dance sequence. Haasan also had a supporting role in Annai Velankani (where he was assistant director), and appeared in K. Balachander's 1973 film Arangetram. He played the antagonist in Sollathaan Ninaikkiren and Gumasthavin Magal. 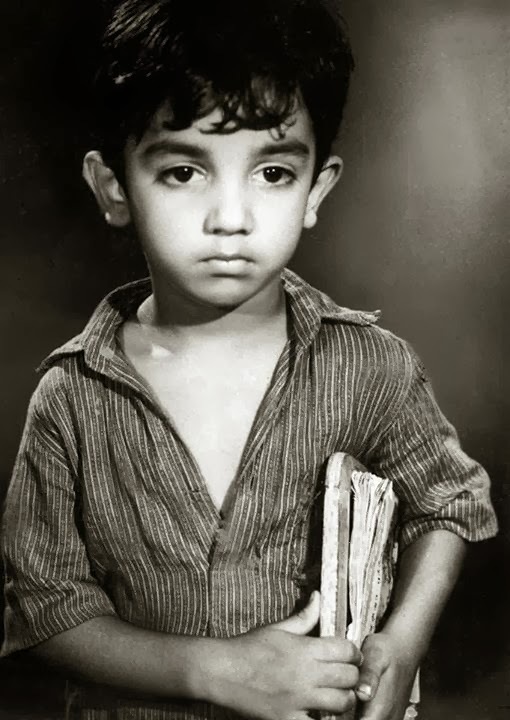 Haasan's first serious role was in K. Balachander's Aval Oru Thodar Kathai (1974). His last supporting role was in Naan Avan Illai, also in 1974. 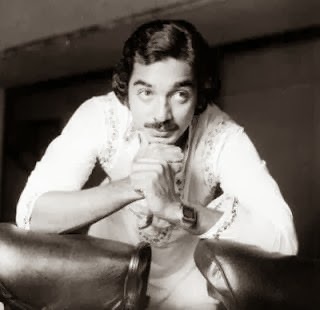 Haasan's second Malayalam film was 1974's Kanyakumari, for which he won his first regional Filmfare Award. Other Malayalam films were Kanyakumari and Raasaleela. He played the lead in the Tamil film Apoorva Raagangal, directed by K. Balachander (for which he won his first Filmfare Award in Tamil).Its plot involved a young man in love with an older woman, and the film won the National Film Award for Best Feature Film in Tamil. 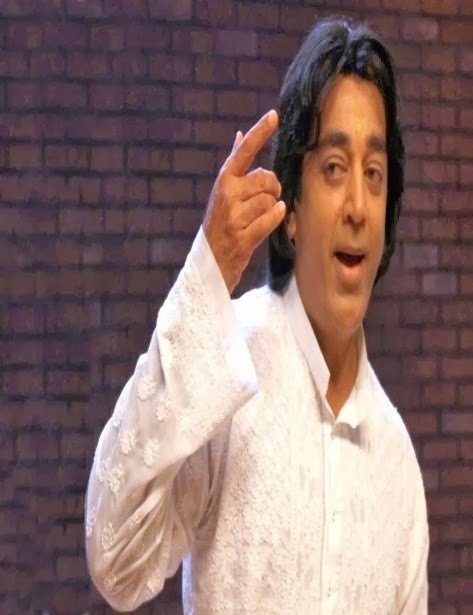 Haasan learned to play the mridangam for his role. In the 1978 Telugu film Sommokadidhi Sokkadidhi, Haasan played two parts. He also appeared in the musical Ninaithale Inikkum, a snake-horror film (Neeya) and Kalyanaraman. At the end of the 1970s he had a total of six regional Best Actor Filmfare Awards, including four consecutive Best Tamil Actor Awards. After 1984's Raaj Tilak Haasan appeared in Saagar (released 1985), winning the Filmfare Best Actor Award and nominated for the Best Supporting Actor award. The film was India's representative for the Best Foreign Language Oscar in 1985. He appeared in Geraftaar and later featured in Japanil Kalyanaraman (a sequel to his 1979 Kalyanaraman). In 1986 Haasan again collaborated with K. Vishwanath in Swathi Muthyam, playing an autistic person who tries to change society; it was India's entry for Best Foreign Language Film at the Academy Awards in 1986. These Tollywood films found him a large audience in Andhra Pradesh, and many of his later Tamil films were dubbed into Telugu. Following Punnagai Mannan (in which he played two roles, including a satire of Charlie Chaplin as Chaplin Chellappa) and Vetri Vizha (where he played an amnesiac), Haasan appeared in Mani Ratnam's 1987 film Nayakan. He received his second Indian National Award for his performance; Nayakan was submitted by India as its entry for Best Foreign Language Film at the 1987 Academy Awards, and is on the Time's All-Time 100 Movies list. In 1988 Haasan appeared in his only silent film to date: Pushpak, a black comedy. He appeared in Unnal Mudiyum Thambi (a remake of the Telugu film Rudraveena), Sathya in 1988 and Apoorva Sagodharargal in 1989. Haasan played two parts in Indrudu Chandrudu, winning the Filmfare Best Actor and Nandi Awards for his performance. He ended the decade with his last starring role in an original Malayalam film to date, in Chanakyan. 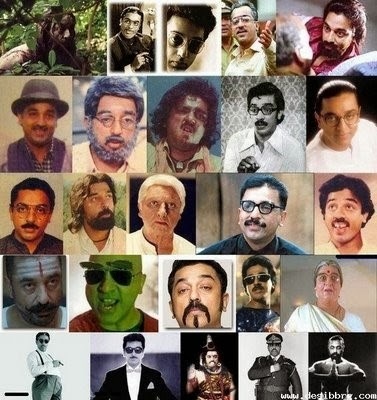 By the end of the 1980s Haasan was successful in the Malayalam, Kannada, Telugu and Hindi film industries, with Filmfare Awards in each industry and two national awards. In 1990, Michael Madhana Kamarajan saw Haasan build on Apoorva Sagodharargal by playing quadruplets. It began as a collaboration with writer Crazy Mohan for future comedy films.Haasan won successive Best Actor awards for his portrayal of deranged, obsessive protagonists in Guna and Thevar Magan (which was remade in Hindi as 1997's Virasat). He was credited with the story for the latter, and won his third National Film Award for Best Feature Film in Tamil as a producer. The film was India's submission for the Academy Awards that year. A series of films followed: Singaravelan, Maharasan, Kalaignan, Mahanadi, Nammavar, and Sathi Leelavathi (based on the British film She-Devil). The film (produced by Haasan) featured Haasan, Kannada actor Ramesh Arvind and comedienne Kovai Sarala. He resumed his collaboration with Kasinadhuni Viswanath in the Telugu film, Subha Sankalpam, and starred in the police story Kuruthipunal with Arjun Sarja. Haasan's success in the latter was followed by his third National Film Award for Best Actor for Indian. After Indian Haasan played a woman in the comedy Avvai Shanmughi (inspired by Mrs. Doubtfire),which was a box-office success. He chose Shantanu Sheorey to direct the Hindi remake of Avvai Shanmughi, Chachi 420, but after dissatisfaction with five days of shooting Haasan took over as director. In 1997 Haasan began directing an unfinished biopic of Mohammed Yusuf Khan, Marudhanayagam; a half-hour of film and a trailer was shot. Marudhanayagam was expected to be the biggest, most expensive film in Indian cinematic history; a number of well-known actors and technicians had been signed, and it was launched at a public ceremony by Queen Elizabeth during her 1997 visit to India. Although the film failed to materialise due to budget constraints, Haasan expressed an interest in reviving the project. In 1998, he appeared in Singeetham Srinivasa Rao's romantic comedy, Kaathala Kaathala opposite Prabhu Deva. The film was a commercial success and was also dubbed in Hindi as Mirch Masala, which was never released. 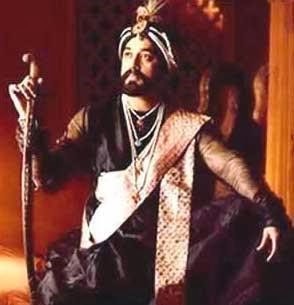 After a two-year hiatus from Indian cinema, Haasan decided against reviving Marudhanayagam. He directed his second film, Hey Ram: a period drama, told in flashback, with a fact-based plot centering around the partition of India and the assassination of Mahatma Gandhi. Haasan produced and choreographed the film, writing its screenplay and lyrics. It also featured Shahrukh Khan, and was India's submission for the Academy Awards that year. Hey Ram was a box-office failure in India (partly due to Congress enforcing a ban on the film), but was successful worldwide. Also in 2000, Haasan appeared in the comedy Thenali as a Sri Lankan Tamilian with PTSD who is under a psychiatrist's care. Thenali, starring Malayalam actor Jayaram, was a box-office success. Haasan's next film was 2001's Aalavandhan, in which he played two roles (for one of which he had his head shaved and gained ten kilograms). To play the other Army major in Aalavandhan, he went to the NDA for a crash course. The Hindi version was distributed by Shringar Films. Despite pre-release publicity, the film was a commercial failure and Haasan repaid distributors who had lost money. After Dasavathaaram Haasan directed a film tentatively entitled Marmayogi, which stalled after a year of pre-production. He then produced and starred in Unnaipol Oruvan, a remake of the Bollywood film A Wednesday, where he reprised the role originally played by Naseeruddin Shah with Malayalam actor Mohanlal playing Anupam Kher's role. The film was also released in Telugu as Eeenadu, with Venkatesh reprising the role played by Kher. Both versions were critically acclaimed and commercially successful. Haasan collaborated for the fifth time with Ravikumar in Manmadan Ambu, also writing the screenplay. The story concerns a man who hires a detective to find out if his fiancée is cheating on him. The film was released in December 2010 to mixed reviews, with Behindwoods calling it "an entertainer, but in parts" and Sify saying it "lacks the punch to captivate the audiences". Haasan's next film after Manmadhan Ambu was 2013's Vishwaroopam, released in Hindi as Vishwaroop. It won two National Film Awards (Best Production Design and Best Choreography) at the 60th National Film Awards. The film's sequel Vishwaroopam II is scheduled to release in February 2014. In addition to acting, Haasan is noted for his involvement in other aspects of filmmaking. He has written many of his films, including Raja Paarvai, Apoorva Sagodharargal, Michael Madhana Kamarajan, Thevar Magan, Mahanadhi, Hey Ram, Aalavandhan, Anbe Sivam, Nala Damayanthi, Virumaandi, Dasavathaaram, Manmadhan Ambu and Vishwaroopam. Haasan's production company (Rajkamal International) has produced several of his films, and he directed Chachi 420, Hey Ram, Virumaandi and Vishwaroopam. He considered directing full-time if Hey Ram was successful, but changed his mind when the film failed at the box office. In his earlier career, he has also choreographed for MGR in Naan Yen Pirandhen, Sivaji Ganesan in Savaale Samaali and Jayalalithaa in Anbu Thangai In 2010 Haasan said he wanted to do more directing, since young actors wished to work for him. When he played supporting roles early in his career he wanted to become a technician, and joked: "Film makers like K. Balachander told me that I won't be able make much money by being a technician. So the end result is that the star Kamal funds the technician Kamal in pursuing his dreams". Kamal attended workshops for makeup technicians in the US for several years, and trained as a makeup artist under Michael Westmore. Haasan has also written songs for his films. He wrote the lyrics for a single in Hey Ram, songs in Virumaandi and Unnai Pol Oruvan and the album for Manmadhan Ambu. Haasan's musical work has been well received by his peers in Tamil film. He is also a playback singer, singing in Tamil, Hindi, Telugu, Malayalam and English. Haasan was born in the town of Paramakudi, in the Ramanathapuram district of Tamil Nadu, to criminal lawyer D. Srinivasan and Rajalakshmi (a housewife). One source says that his parents originally named him Parthasarathy. In an interview with Karan Thapar, Haasan said his father was literate in Sanskrit. 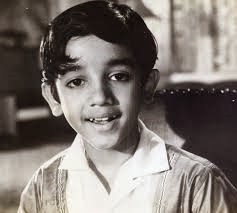 Kamal was the youngest of four children; his siblings are Charuhasan, Chandrahasan and Nalini (Raghu). His two older brothers followed their father's example, and studied law. 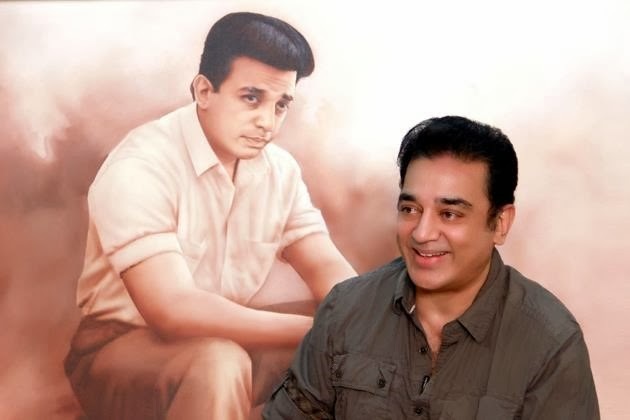 Haasan referred to his parents in Unnaipol Oruvan and the song "Kallai Mattum" in Dasavathaaram.His oldest brother Charuhasan, like Kamal, is a National Film Award-winning actor who appeared in the Kannada film Tabarana Kathe. Charuhasan's daughter Suhasini is also a National Film Award winner married to director (and fellow award-winner) Mani Ratnam, who collaborated with Haasan on 1987's Nayakan. Chandrahasan has produced several of Haasan's films, and is an executive with Rajkamal International. His brother's daughter Anu Hasan has had supporting roles in several films, including Suhasini's Indira. Haasan's sister, Nalini Raghu, is a dance teacher for whom he named an auditorium (Nalini Mahal). Her son, Gauthami, played Haasan's grandson in Hey Ram. Early in his career, he co-starred in several films with Srividya. They were reported to have had an affair during the 1970s, and their relationship was explored in the 2008 Malayalam film Thirakkatha by Renjith (with Anoop Menon as Haasan and Priyamani as Srividya). Haasan visited Srividya when she was on her deathbed in 2006. In 1978, at age 24, Haasan married dancer Vani Ganapathy. They divorced ten years later. Haasan and the actress Sarika began living together in 1988, marrying after the birth of their first child, Shruti Haasan (born 1986). She[who?] is a singer and a Tollywood-Kollywood actress. Their younger daughter, Akshara (born 1991), was assistant director for 2013's Vishwaroopam. Sarika stopped acting soon after their marriage, replacing Ganapathy as Haasan's costume designer for Hey Ram. In 2002 the couple filed for divorce, which became final in 2004. Haasan's affair with co-star Simran Bagga (22 years youngerthan him) triggered the breakup. His relationship with Simran (who appeared in Pammal K. Sambandam and Panchathantiram was brief, since Simran married her childhood friend in late 2003. Haasan has been living with former actress Gouthami Tadimalla (who starred with him in several films during the late 1980s and early 1990s) since 2005. Shruti, Akshara and Gouthami's daughter Subbalakshmi (from an annulled marriage) live with them. 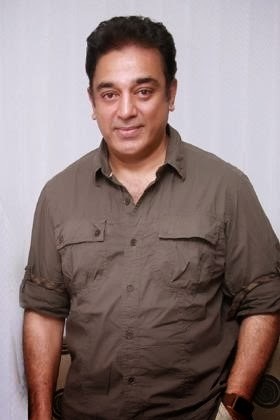 Haasan, despite his birth into a Hindu Brahmin family, has declared himself as an atheist; many of his films, notably Anbe Sivam and Dasavathaaram (both written by him) have an anti-theistic viewpoint.He has been thought to be Muslim because of his Arabic-sounding name, and was stopped at Toronto Pearson International Airport in 2002. In Sanskrit Kamal means "lotus", but it was rumoured that his name originated with a friend of his father (Yaakob Hassan, a Muslim freedom fighter who was imprisoned with the elder Haasan by the British). In a BBC interview with Karan Thapar Haasan said that his last name derives from the Sanskrit word hasya, and although the Yaakob Hassan connection was publicised by the media it was only "a story". Although he has abstained from politics, Haasan is considered left-leaning or independent and has said that his politics would result in his death within a year. 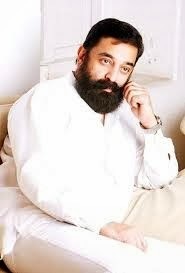 Haasan is the first Tamil actor to convert his fan clubs into welfare organisations, and is involved in social-service activities through the clubs under the name Kamal Narpani Iyakkam (Kamal Welfare Association). His fan clubs help organise blood- and eye-donation drives, and donate educational materials to students. Haasan received the first Abraham Kovoor National Award for his humanist activities and secular life in 2004. He was project ambassador for Hridayaragam 2010, which raised funds for an orphanage for HIV/AIDS-affected children. In September 2010 Haasan launched a children’s cancer relief fund and gave roses to children with cancer at Sri Ramachandra University in Porur, Chennai. He has pledged his product-endorsement income to social causes. 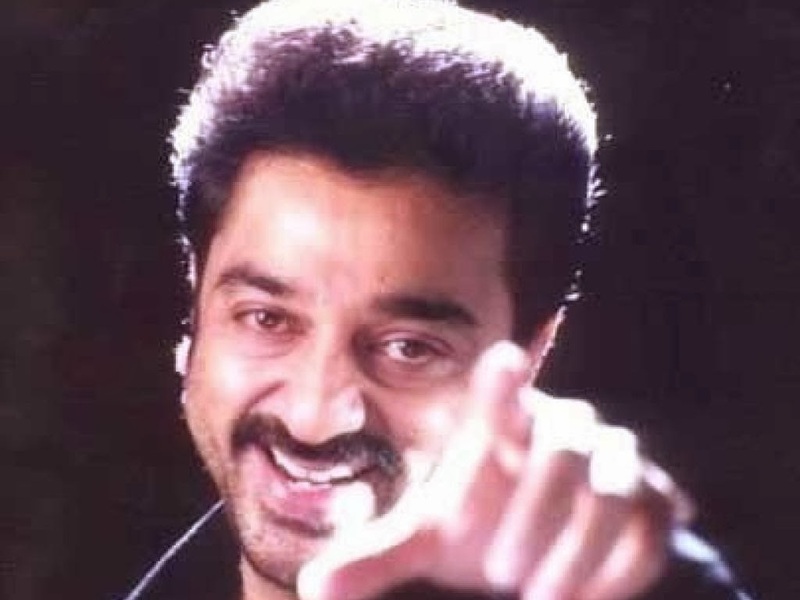 Haasan won INR 5 million on Neengalum Vellalam Oru Kodi in March 2013 and promised that his prize money would be used for Petral Thaan Pillaya, supporting children with HIV.